You are here: Home>Places>High Street>89 High Street, previously Home Farm buildings. Date unknown. 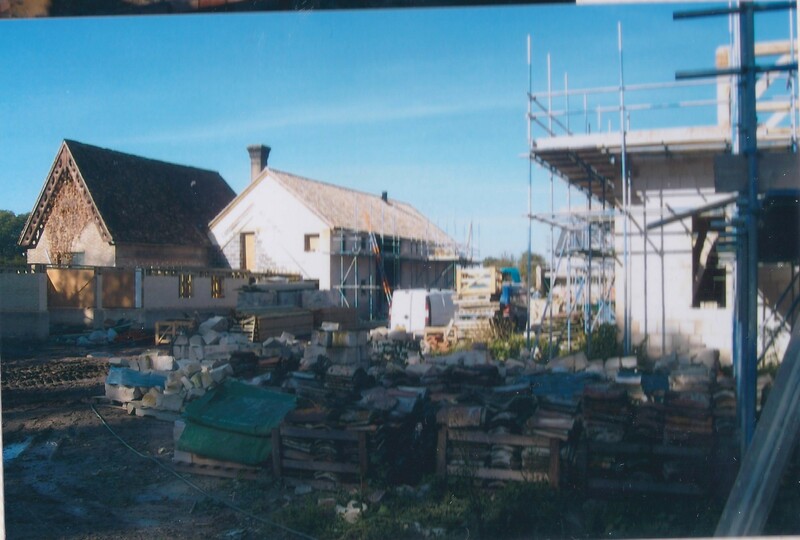 Home Farm outbuildings being renovated. Date unknown. 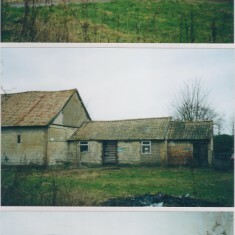 Home Farm outbuildings being renovated. 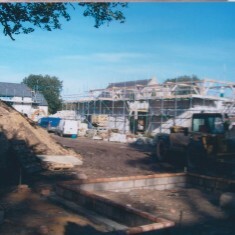 Coach House in left background. This area was the barns and stables etc. to the Home Farm to Park House. 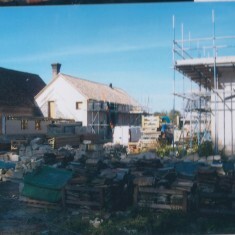 These have all been “converted”, although it would be more correct to say “re-built” using some of the original material, particularly the roofing. 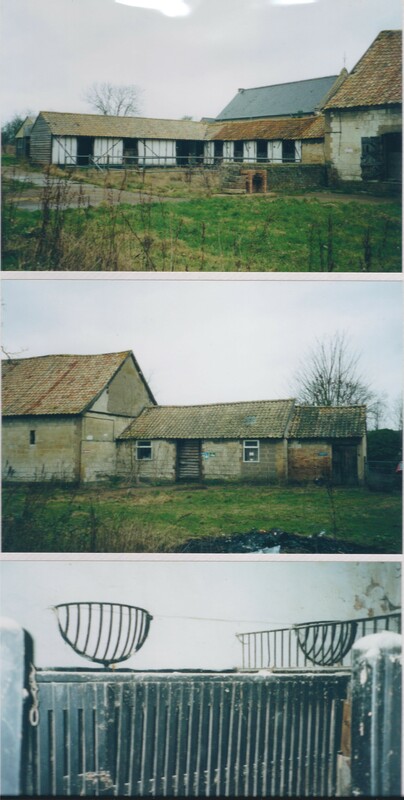 These four dwellings & No 5 are all known as No 89 by the Post Office. 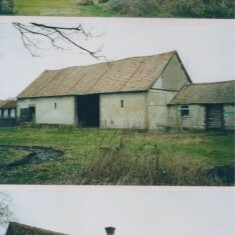 The Cart Lodge is used to be the cart house for Home Farm. 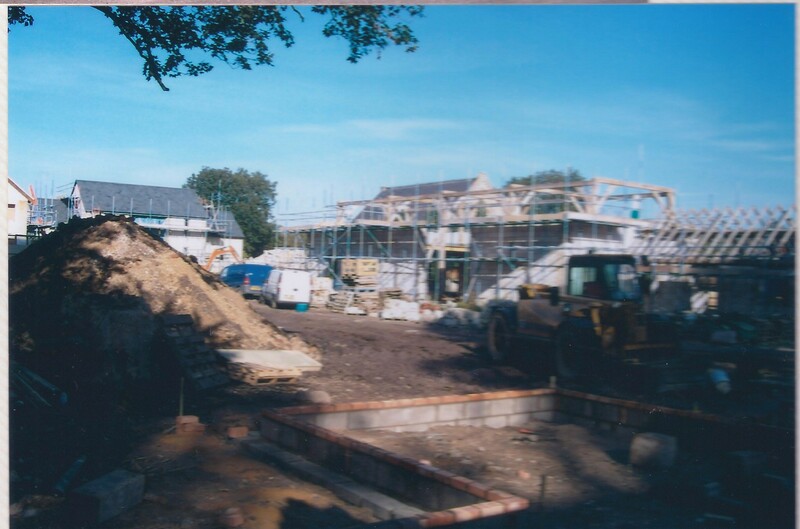 Although technically this is accessed across the rear of No 91 High Street via the common driveway to Nos 91 & 93, access is possible via the common driveway to No 87 in the same way as for Nos 1 to 4 Home Farm.